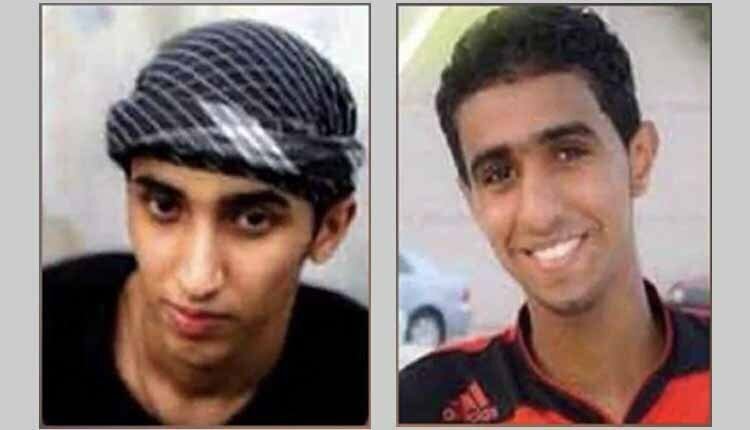 Two missing young men believed to be abducted by the state forces in a June 11 gathering of National Steel Group workers have still not been heard from. Reza Reyhani, 17, and Khaled Khasraji, 18, took part in a peaceful rally of Ahvaz National Steel Group workers demanding overdue wages. Father of Reza Reyhani, sent an audio file immediately declaring that his son and his friend went missing. Reza’s father says both of them were arrested during the protest and his main worry is that their lives could be in danger now that they have been taken away. Ahvazi intelligence officials have claimed that they have no information on the two young workers, a claim which is believed to be a cover-up to facilitate ill treatment of the missing men. However much the families have tried, the Ahvazi intelligence authorities have not allowed relatives of these two young workers to search for them at the detention centers. This father complains about how bad their living condition is, and that they want their son to be released immediately. The Independent Union of Iranian Workers reported on its website that about 50 workers of the National Steel Group were arrested at Kian Pars Square in Ahvaz during a June 11 gathering. At least another 15 steel workers were also arrested by a police special unit during a protest gathering in front of the Khuzestan Province governor’s office on June 12. Steel workers staged another demonstration in front of the local governor’s office, demanding the release of their co-workers. Videos released on social media show steel workers chanting slogans calling on the government to free jailed steel workers. Although all the detainees have been released so far, there is no news available on the fate of the two missing men as of yet.